[June 20, 2017] (Reuters) - Federal Reserve Board Vice Chair Stanley Fischer on Tuesday warned that while the U.S. and other countries have taken steps to make their housing finance systems stronger, more needs to be done to prevent a future crisis. 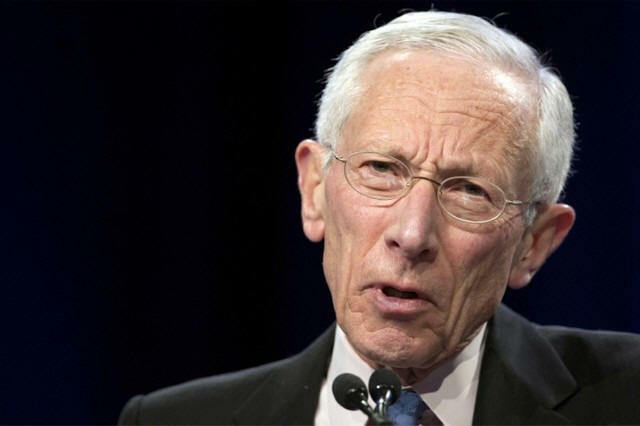 Fischer did not address the outlook for U.S. monetary policy or the economy in remarks prepared for delivery to the DNB-Riksbank Macroprudential Conference Series in Amsterdam. Instead he focused on preventing financial instability, arguing that since the 2007-2009 financial crisis in the United States, "the core of the financial system is much stronger, the worst lending practices have been curtailed, much progress has been made in processes to reduce unnecessary foreclosures," and a 2008 law helped clarify the status of government support for housing agencies Fannie Mae and Freddie Mac. But to prevent a new crisis, he said, governments ought to do more, including stress tests for banks on their resilience should house prices decline dramatically, and making it easier to avoid foreclosures, which hurt both lenders and borrowers. "(T)here is more to be done, and much improvement to be preserved and built on, for the world as we know it cannot afford another pair of crises of the magnitude of the Great Recession and the Global Financial Crisis," he said.